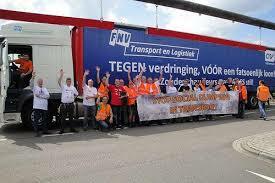 In an appeal between trade union FNV and IKEA subcontractor Brinkman Trans Holland, a Dutch court has decided that national labour rules must also apply to foreign drivers that are running freight operations from the Netherlands. “This is a very important decision for international road transport”, says FNV spokesperson Edwin Ateman. “IKEA has Brinkman doing cargo runs. In turn, Brinkman uses affiliate companies from Poland and Moldavia to evade the Dutch collective bargaining agreement (CBA), workers’ rights and social insurance obligations. This flagrant case of social dumping has to end for good”. In September last year, Brinkman was condemned for the first time for paying drivers from Central-Eastern Europe a basic wage around eight times lower than the legally binding rate in the Netherlands. The company appealed but the decision was no different the second time around. The judge rejected Brinkman’s claim that its sister companies in Central-Eastern Europe are independent companies. Foreign workers at Brinkman should therefore be granted the same rights as their Dutch colleagues. Earlier, the Dutch social inspection delivered a devastating report on the business practices of the IKEA subcontractor. The company’s violations of regulations concerning driving and rest time, cabotage and bogus self-employment amount to nearly a million euros. By setting exceptionally low prices for its subcontractors, IKEA is ultimately responsible for these deplorable practices. So far, the Swedish multinational has admitted the problem but drivers are still waiting for real solutions. For the FNV, there is only one way forward: “Time has come for Ikea to act. They must properly pay drivers at Brinkman, respect their human rights, and end exploitation in their supply chain”.